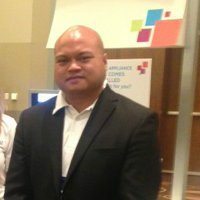 Why Don’t Oil and Gas Companies Use Big Data Analytics (More)? In earlier posts, we’ve described the benefits big data analytics deliver to oil and gas companies. So, you can imagine our surprise when we read how little oil and gas companies use big data for decision making. One percent. Yup, that’s it. One percent of the information gathered from about 30,000 separate data points on offshore oil rigs is used to make high-level business decisions. So what? 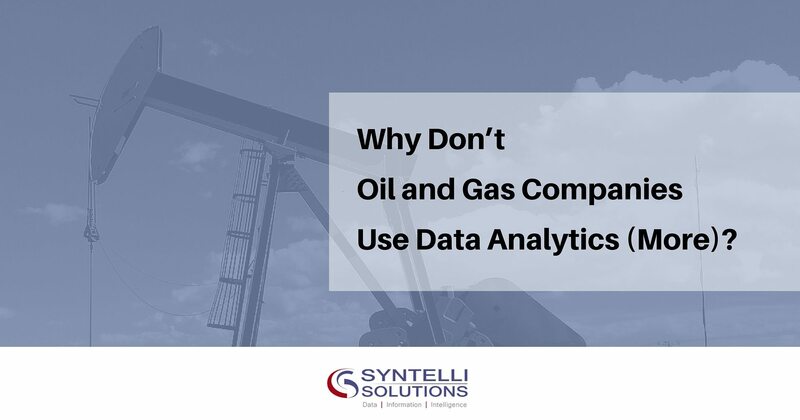 It’s no secret that the oil industry lags behind others in its use of data analytics in decision making. This trend reflects the industry walking away from business opportunities, in effect leaving money on the table. From the ops side, more efficient drilling can help companies reduce the break-even cost of producing a barrel of oil. A report by Bain & Company claims that better smart data analytics could help oil and gas companies boost production by 6 to 8 percent. How? In the Bain report, rigs in the North Sea, the study’s largest sample group, were up and running as planned only 82 percent of the time. Improved use of data could result in better uptime. But the biggest value could be gained in companies’ executive suite, where the industry faces its largest challenge: data democratization. This involves making the data available to decision-makers across several departments in a way that helps everyone achieve company-wide business goals. A possible solution: integrating teams of oil engineers and professionals, data specialists and IT staff members, who can manage a technology platform that makes information accessible and easy to use. Few drillers are analyzing huge volumes of data yet, but many are piloting advanced analytics programs. But what about other oil and gas companies, the small-to-mid-sized firms that drive much of the U.S. energy resurgence? Using big data analytics is one way that SMBs can keep up with larger competitors. Many are turning to cloud computing as an entry point to affordable big data analytics. Pioneering firms are using big data analytics to solve specific problems, scale up and tackle larger projects. The strategy is to use cloud-based services to keep costs low. By turning off cloud services when they are not needed, companies can avoid hardware and other costs. And, they can download open-source, big data analytics tools to reduce and avoid costs even farther. The result: the ability to focus on solving specific analytic problems that have potential business value. The whole idea is to find a problem worth solving and then get the tools to solve it, not the other way around. If the DIY approach to big data analytics doesn’t appeal, Syntelli analytics solutions provide big data support for companies of all sizes. We have the experience, tools and skills that help oil and gas companies become data-driven businesses that measure everything and enable non-technical users to find and interpret data quickly and easily. Talk to a Syntelli data scientist today to see how your company can benefit from implementing Big Data technologies.